It is true. 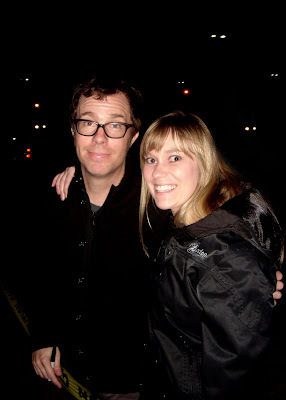 Bo and I got to hang with Ben Folds for a bit after his show last night! I even gave him a little hug. Oh. My. God. (mouth open) Jen, can I touch you and then never wash my hand? That is just so cool! How did it happen? Were you trying to be a groupie or did he just walk into the crowd and say "hi?" Either way, I'm totally jealous. Totally. lol you cant tell from the pic you are excited much or anything!! Awesome! My husband is going to be so jealous! What an evening, Jen! i am a lurker that has come out of hiding because this is awesome! i have met him twice (he remembered me the second time, or at least was really good at pretending to) ... so exciting! cute pic!!! Me too... Lurker coming out of hiding because that's way cool! That's so cool! You look beyond in that pic! EEEEEEK! how awesome was that?!?! ?